Sometimes God brings people into your life that you know will be forever friends. Well, after 24 years of friendship, it appears that these friends define that category. Thanksgiving, airport rides, computer help, firewood, plays, all describe our friendship. From the mundane to the special, they are there to experience it with us. These two have truly become a part of our family. No one else has watched our home videos, attended all our high school graduations, and never forgotten a birthday. No one else remembers to bring my mom's favorite coleslaw or comes over unannounced to plant flower bulbs for us. And not many other people are lucky enough to have such godly and caring friends in their lives. We love you, Aunt Nini and Uncle Gary! 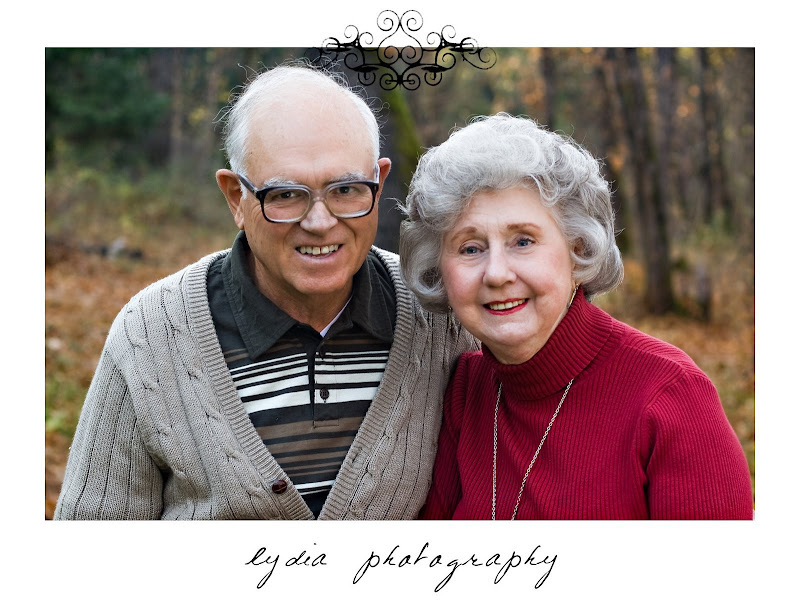 Oh I love when older couples do photo shoots. so precious. Probably married a long time. Good for them!! They sound as adorable as they look,wish I knew them. Nice picture Lydia!